PLEASE NOTE: The contest has now ended. Congrats to our drawing winners, Jennifer Janis and JLW! Thanks, everyone! To celebrate the Back to School season, two lucky blog readers will win have won a $10 gift card courtesy of our friends at TpT. 2. Type your first name (or a secret spy name, whatever) in the other bar. 3. In the “Leave a Reply” box, ask a question that you’d want me to answer in a future YouTube/blog video. Please note: For the sake of time and my sanity, I won’t be able to answer these questions here on the blog this week. Instead, I plan to use your questions as future video Q&A subject matter. Be sure to subscribe to my channel (click here) to see what I create this fall! Okay, now don’t be shy – scroll down and enter! How do you organize yourself so you are spending less time at work and more time at home? Any ideas for a quicker grammar bell ringer?? We have 50 min classes and I’d like to do something valuable without taking an extended amount of time. on your website your weekly schedule has a read aloud text time? What do you specifically read and what does that look like? There are so many ideas on the 2ndaryela site and I love all of them but I’m struggling on how to narrow down the ideas to make the most of my 80 minute block. This time is for both reading and writing. Hi Laura! I am wondering how you organize your actual classroom? For example, where students hand things in, how you keep your desk organized, and how you keep track of all the paperwork teachers handle. Thank you! I’m interested in knowing if, and how, you collaborate with other teachers either within your department or across subjects. Thanks. What are your greatest professional accomplishments and how have you celebrated those moments? How do you help kids in the autistic spectrum connect with others / the topics through your materials? How do you manage your time between teaching and your blog? A set schedule or when you have the time? Thanks! How do you give your students autonomy in the classroom? What choices can they make (and you encourage) regarding their learning? What’s your favorite “Back to School” activity or first day/first week activity? How do you keep your energy up throughout the day? I know the kiddos pick up on my energy during the day and reflect it back at me. How do you keep things moving and grooving in your room? How does your school feel about you being a private seller? Do they support you sharing your lessons? How do you differentiate in the classroom to account for students with special needs or those who struggle more with reading/writing? I’m thinking especially of when you are teaching some of the more classic, yet difficult, texts that contain vocabulary and sentence structure that is over the heads of some students. What are your best tips for dealing with parents? What have you picked up over the years to help deal with helicopter parents and/or the parents who don’t log in once to check their child’s progress? Also, parent-teacher-conference tips. How do you prepare? How do you run a typical conference? How do you diffuse the tense ones? Do you have any suggestions for a 1:1 classroom environment? Do you use independent reading in your classroom, and, if so, what structures do you use? Do you teach in a block? I am moving from 72 minute classes to 45. Any tips on how to help make this a smooth transition? What are your thoughts on flexible seating in the high school English setting? I’d like suggestions for remediation classes. I have three classes who are VERY below level (aka should’ve been retained AGAIN in 8th grade but district policies say otherwise). I INSIST on using the same good literature (Fahrenheit 451, short stories, Night) but need to get them up to English I speed by May. Hi Laura! Our school just implemented a new retake policy if a student scores below 80% on assignments. While I think the policy is great for a kid that doesn’t grasp the material we also sometimes have kids that just didn’t have time to study so they put it off knowing they can retake it later. It creates a grading nightmare. Do you have a similar policy at your school? 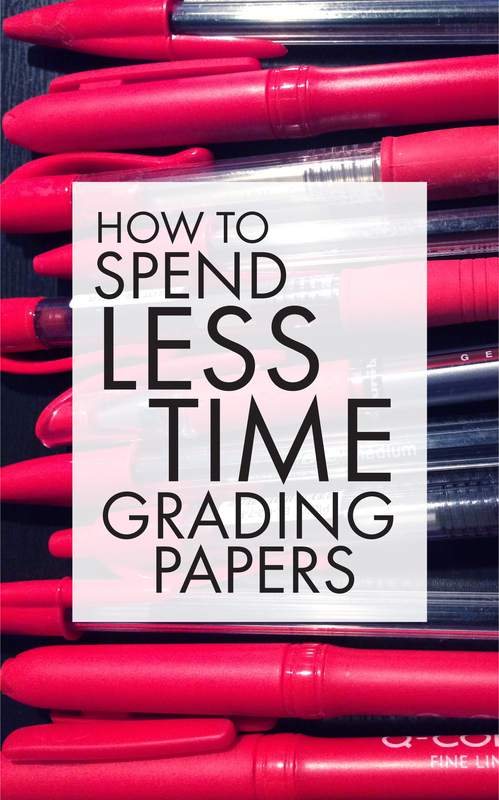 How do you handle all the extra grading multiple times? I’m thinking we are going to have a cutoff for some of these retakes so I’m not swamped at the end of every quarter with kids trying to get their grades uo by retaking everything. What is the absolute best advice you ever received about teaching? First, thank you so much for all the help you have already been to me. As a teacher who is new to the secondary level, what kind of consequences do you utilize and how do you enforce them in your classroom? Hi Laura! How do you motivate a striving reader, specifically students that have been in some type of remedial class most of the their academic career? What are some ways to keep juniors organized? I’ve tried different binder and notebook combinations and haven’t found one that I really like. How do you help juniors stay organized? What papers should they be keeping? Are they building portfolios? I don’t know if you’ve ever served as a department lead, but surely as a member of an English department you’ve got some insight into what professional development has been most beneficial to you and your fellow colleagues. I’d love to know what PLCs have really strengthened your department or how, in your opinion, department meetings can best support English students. What are you currently reading, both for enjoyment and for personal enrichment? Happy to say that I am a “Laura Groupie”. After 14 years of teaching, I still get excited by all of your ideas. I recently purchased the codes for grading (since I, too, put 4000 comments on a paper only to have my beloved cherubs throw it out1). My question is do you grade the initial essay–the one with the codes–or do you just grade the corrections and/or the final copy. I end up with three or four grades on an essay and I am concerned this is overload for them and the work for me is overwhelming. So, what is your grading system for the essay process? Any suggestions? What is the best way to structure a 90 minute class period? I will be on a block schedule for the first time this year, and I am a little nervous. Do you have a web page for parents and/or students? If yes, how would you recommend using it? Do you use any other method or technology for keeping in touch with students/parents? How do you approach lesson planning (both long- and short-term)? There is a balance between rushing through a novel quickly with few activities versus “overteaching” by doing every little thing connected to it. I know that you mainly teach shorter works over novels, but I think the concept applies to works of any length. How do you strike the balance of a meaningful unit without wearing everyone out by spending forever on the unit? Is the balance different with students of various grades? Do you have some favorite ideas or resources to teach kiddos how to have a conversation/discussion? They are so in their own worlds these days and they don’t seem to know how to actually have a conversation with me or each other, which causes the talk during my lessons to very one-sided. Some teachers believe it is important to read every word with students during class class novels. I seem to struggle with time management and will occasionally assign outside reading of class novels. How do you battle the students who choose not to read on their own or just use the Cliff Notes version? Even though I tell them they will have a quiz, I still have a small amount of students who refuse to pick up the book unless I hold their hand. Am I doing a dissservice by continuing to assign outside reading knowing it won’t be completed? What are your favorite education apps and/or websites? I am new to your site, though I LOVE what I have read so far! I apologize if you have already answered this, but here is my question: What is your late policy/ how do you maintain your sanity and time management when at the end of the quarter it feels like everyone is turning in all the work that they have neglected all quarter? I have been trying to implement a lot of your advice, and I believe that I have lowered the amount of time I spend grading, but it gets difficult at the end of a quarter when I constantly have to switch gears between assignments. My principal wants us to accept work through the end of the quarter, what do I do? How do you facilitate choice reading? I want my students to love reading and find the books that catch their attention, but that’s not always the books that we read in class. How can you fit it in the jam-packed schedule? I have the same question as another commenter… what consequences do you use in your classroom, particularly for defiant students? Thank you! How do you balance whole-class novels and independent reading? What are some authentic real-life writing activities you use to engage students? How do you deal with administrators (and parents, and frankly some fellow teachers) who seem more interested in students earning a passing grade than actually improving their skills? Have you faced pressure to pass kids who are not competent in reading and writing for their grade level? If so how, do you deal with this? 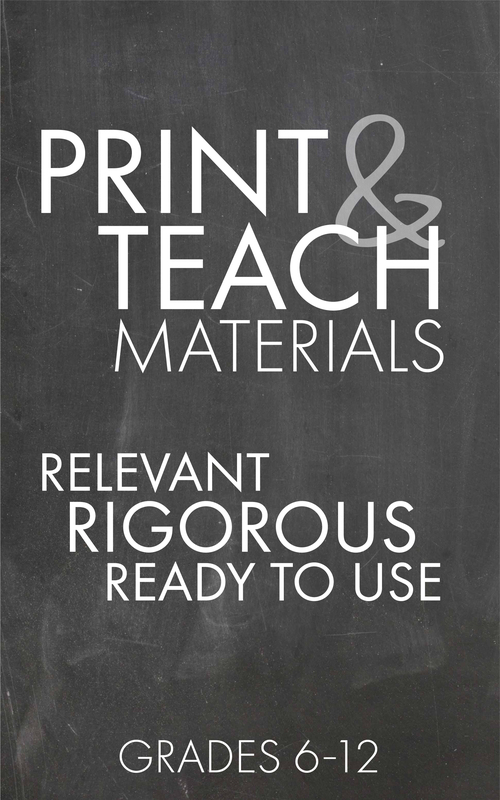 Do you and your peers cover the same EXACT materials at the same EXACT time? This is driving me nuts. I can see doing the same assessments, but what about EVERYTHING else. I have offered to share what I do with others, but I have never forced anyone to manage their classroom that way that I do, but I am working with some challenging people who would like me to do everything their way. I have great (SBA) assessment scores to support my instruction. What do you think are the most efficient strategies for teaching writing skills? How do you organize your desk area and manage student paper piles (where does everything go?)? Also, how do you manage handing back papers? Students can’t pass them back since they can’t see other students’ grades. How do you organize your desk and manage student papers? I’m talking about both what comes in and what goes out. In our school, students can’t return papers due to privacy issues, so how do you manage that? What are your best tips for building strong relationships with students? Do you do any assessment for your Words on Wednesday openers? If so, what? How do you get your “mojo” back when you have become frustrated, overwhelmed, disappointed (whatever the reason) and just don’t feel positive, enthusiastic, or energized anymore? How do you reduce students cheating when assigned questions like the ones you have in your resources? I would love suggestions on what to do when students enter the course in the middle of a unit, whether it is a research paper, a novel, etc. Do you give them alternative assignments? How do you differentiate for the struggling readers in your classroom? We have a large amount of special education students who will be coming into our grade level this year, and I would love to know what a veteran teacher does to meet the needs of these students. Thank you. What type of information texts do you use in your classroom? If you weren’t bound by any curriculum standards, which books would you teach in your classroom? (High School level) In other words, which books do you think are absolutely essential for every high schooler to experience? How do manage all the data that comes your way regarding student progress and how do you use it to differentiate the learning experiences for your students? I enjoy your blog posts! There’s always something useful to read there. I will be using many of your ideas with my 7th graders this year. My question concerns relevancy. I work hard to show my students how becoming a better writer is relevant to their lives, both as students in the future. I usually let them choose their own topics, and encourage them to explore their passions. But there’s always those few that remain lumps and can’t seem to finish anything no matter what I do. Any tricks for rounding up those stragglers and at least getting them to the finish line? What are some ideas for cross curriculum projects? ELA and Science or ELA and History? What does your first week of school look like? I am a 31 year vet who appreciates your enthusiasm and wise words. I work with students who’s population is high poverty and minorities. I have a number of students each year that seems to struggle for my complete attention whether it be academically or through behavior. My question is how to keep students who have behavior issues from taking over your time. I listen to you to keep myself positive and to start each day fresh and new. Your videos crack me up sometimes but they always inspire this old bird who loves her “kids”! Thank you. Is the only activity that you do with your words on Wednesday is what you do that day in class? Then they know they have to know them to quiz on Friday? Next Post What Should I Read Next?